They make traffic more bearable. (SPOT.ph) When we first caught wind of Ang Gerilya's newest project along EDSA in April, we couldn't wait to see the final product. 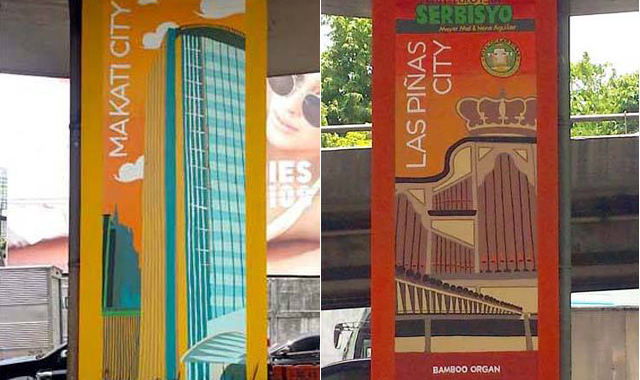 Three months later, here we are with a new set of murals on the beams under the Kalayaan flyover. You can easily see them when you pass by the southbound lane. 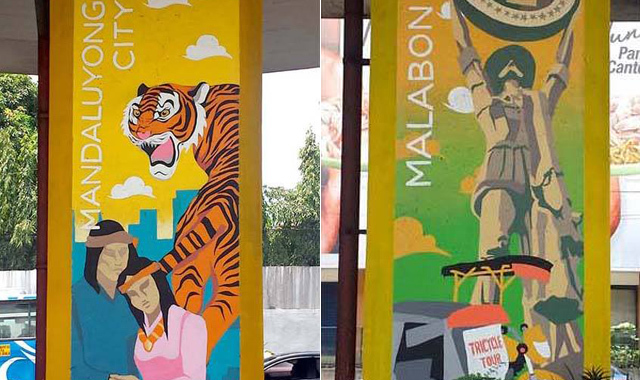 The paintings portray important landmarks in the 16 cities and one municipality of Metro Manila. 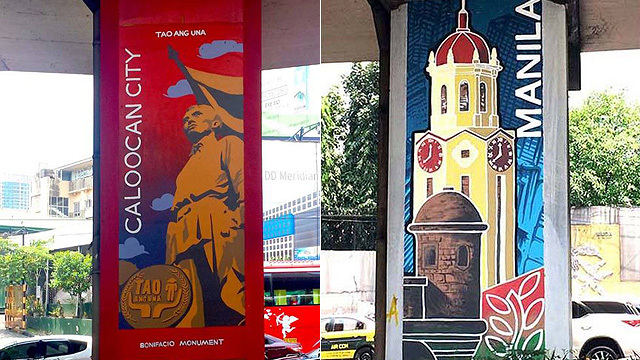 There are depictions of Caloocan City's Bonifacio Monument, Manila's Clock Tower, Makati City's controversial city hall, Las Piñas City's Bamboo Organ at St. Joseph Parish Church, Mandaluyong City's folk legend of tribal couple Manda and Luyong, Malabon City's famous tricycle tour, Muntinlupa City's world-class medical facilities, and Marikina City's cottage industry of shoemaking. 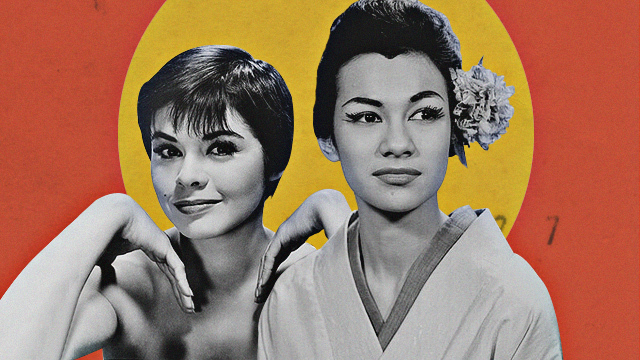 Ang Gerilya has always been known for creating artwork inspired by Philippine culture and history, socio-political issues, and national identity. 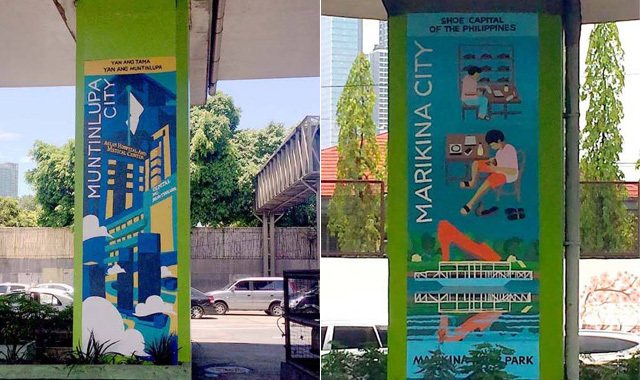 Their newest artworks celebrate what Metro Manila has to offer, other than air pollution, traffic jams, and the garbage problem. 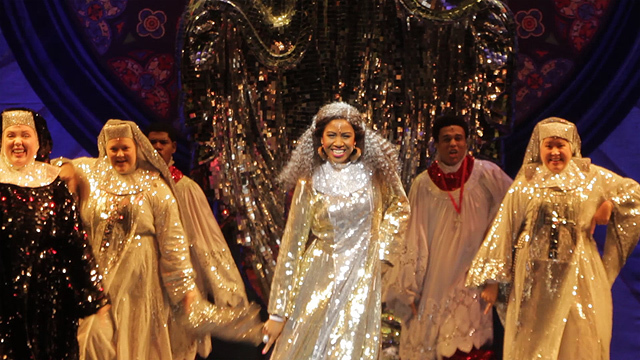 One mural at a time, right?